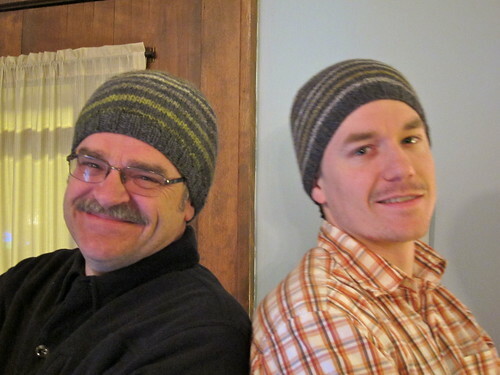 My parents came to visit a few weeks ago and during the weekend activities it became clear that my dad needed a knit hat. While my parents were watching the Vikings in person, I grabbed my leftover yarn and got started on another Turn a Square, finishing this quick knit before the end of the evening. 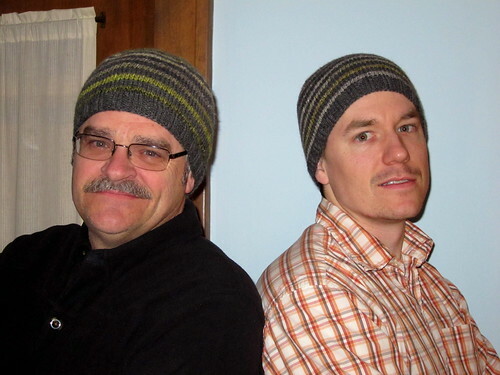 Guys in their "matching hats"
I love Turn A Square. I'm glad I'm not the only one out there who makes multiples.